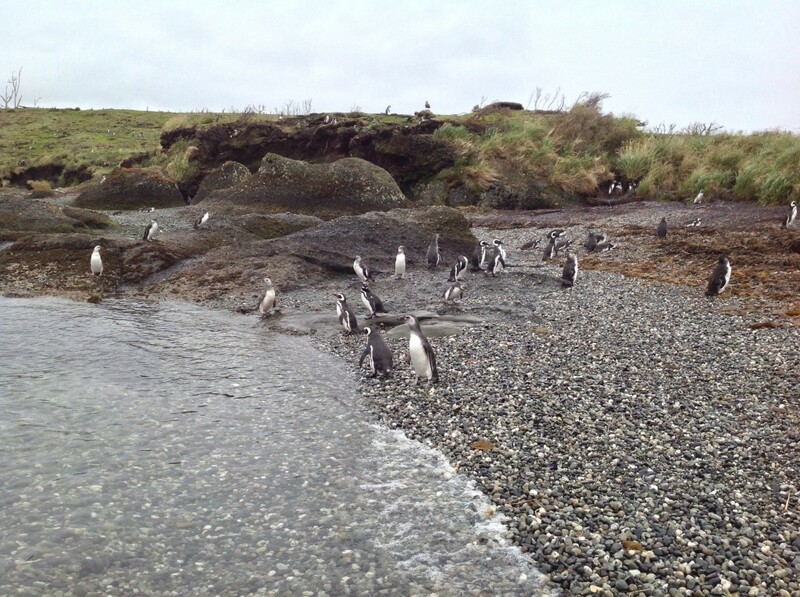 Patagonia: Tierra del Fuego – Los Pinguinos! After our exciting morning at Ainsworth Bay, we prepped ourselves for the Megellanic Penguins. It wasn’t a guarantee we would see them so we were all hoping for the best. 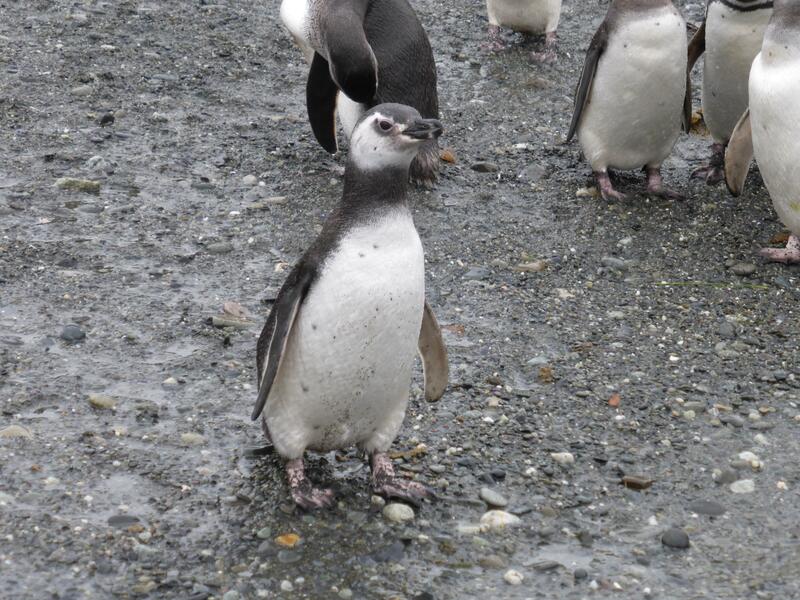 As we approached Tucker Islet I spotted a small penguin hanging out on the surface, kind of like a duck. Phew! 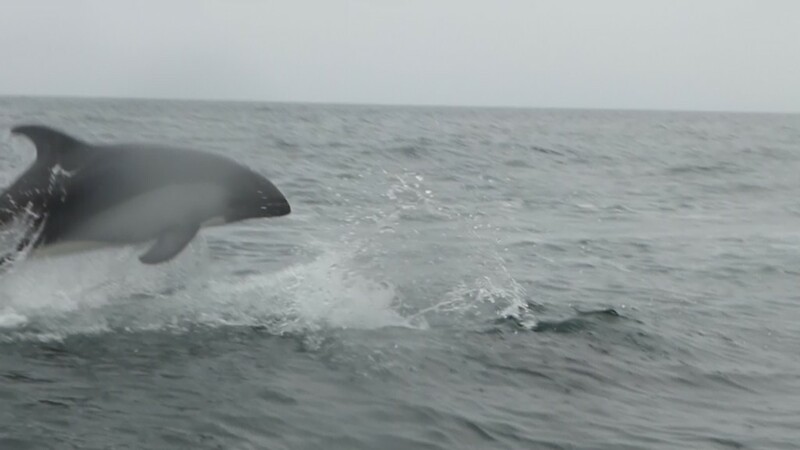 As an added bonus dolphins appeared and stayed with us the whole afternoon. 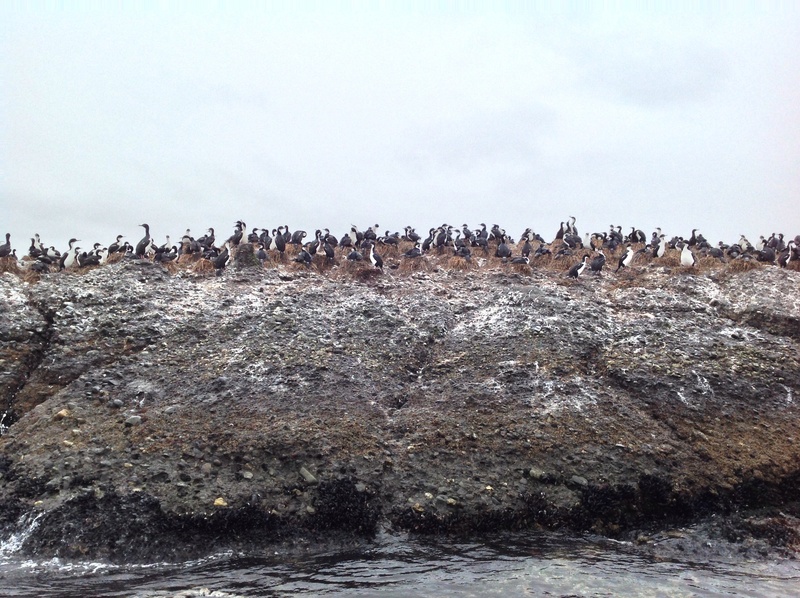 The first thing we observed on the island was Rock Cormorants, one of two cormorant species on the island. After leaving the cormorants we started to see tiny black-and-white shapes dotting the green areas of the island. Pinguinos! They were magical. Everybody spontaneously erupted into huge smiles and giggles. A bunch of Megellanic Penguins hanging around. Penguins are hilarious to watch and incredibly animated. When you observe a group of them each penguin is doing something different. Equally amazing is the transformation they make from land to water. As they approach the water they teeter awkwardly and hunch over so that the beak is almost touching their feet. Then they slip into the water and instantaneously transform into a magical, sleek animal perfectly suited for swimming and diving. My brother snapped this close up of a chick. Chicks have grayish feathers and haven’t yet developed the characteristic black and white markings. A chick hanging out on the shore. 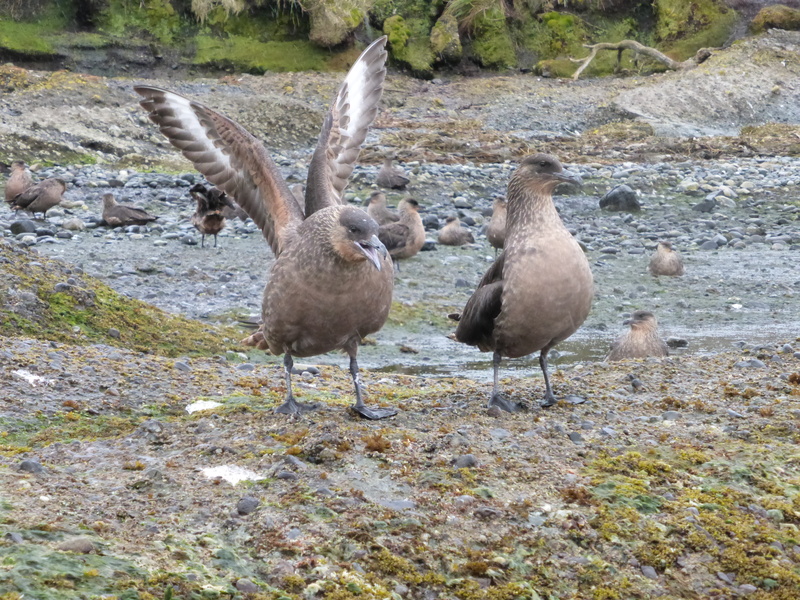 In addition to cormorants and penguins, skuas are also island residents. Skuas eat penguin eggs and the freshly hatched chicks, but don’t pose any threat to full grown penguins or the larger chicks. It was kind of funny to see the two birds, known enemies, hanging around together. My brother’s boat was in between the skuas and the penguins so he took this picture. After the penguins we circled to the other side of the island to see the Imperial Cormorants, the other species. They were loud and stinky. Beautiful to watch, but not as enchanting as the penguins in my opinion. A gulp of Imperial Cormorants, also adjacent to the penguin colony. *Bonus picture* As we headed back dolphins zipped around the zodiacs playing with us. My brother got a video of one jumping and captured it as a single image. Dolphins frolicked around the zodiacs as we headed back to the boat. Thanks for the memories of a wonderful adventure.